After last week's blog "Drupal 6.17 released" my Non-IT friends ask me what is Drupal ? So here I am for introducing Drupal, in minimum technical words. 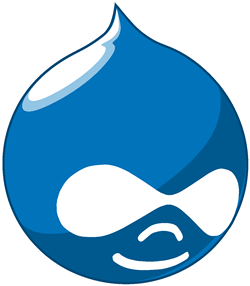 Drupal is an English word from Dutch word "Droppel" which means Drop or Water Droplet. Drupal is Open Source CMS and Web based Framework. CMS is Content Management System. ( I will write a new blog to Introduce CMS ) In simple words CMS is Software which helps user to maintain his website, blog, media content without having technical knowledge of html & web. Where adding, deleting or editing content can be mange without knowledge of HTML. Overall organizing and publishing content is easy with CMS. Framework is collection of functions or libraries, which can be used by developer to develop new application in less time & efforts. So Drupal can used any Non Technical as well as Technical user. Drupal is Open Source project started by Dries Buytaert and now it has huge community who had contributed a lot in its success. Drupal can help to develop any kind of website, blog, social networking, online shopping/ e-commerce, intranet, collaboration, knowledge management sites. Drupal written in PHP programming language. Drupal can run on many operation system like Linux, Windows, Mac. Drupal required webserver like Apache or IIS and Databse like MySQL or PostgresSQL. Drupal have many features and with the help framework/api, Drupal can do anything in Web Technology. And for non-developer it have ready made modules ( Modules: code which provide particular feature to drupal basic software). 1. Book: Wiki like functionality where author can develop content in collaboration. 2. Clean URL: SEO ( Search Engine Optimization: Google or Bing must able find the site easily) friendly URL which are easy to remember for end user as well as easy to search by search engine instead of complex page, node id or numbers. 3. Modules: These are like addon feature or package which is easy to install and configure. Which provide functionality which in not in core/basic Drupal. 4. Community Help: Drupal Project have many ways to help end user/developer. You can find any help from online forum/ mailing list/ irc channel/ online documentation which is maintain by Drupal Community. Drupal have very active community which help new user to adopt it as well as always come with newer features, release, bug fixes, better support environment. 5. Open Source: As drupal is under GPL2 license, you get full source code of drupal and many other modules. Because of Open Source it have many advantages. 6. Permission System: Drupal support various level permissions on content and theme where administrator can fine tune permission on user or role. 7. Searching: Content is fully indexed, so it is searchable at very ease. There many more features like User Management, Content Management, Blogging, Platform, Administration, Analysis, Performance and Scalability. Hi Amit,interesting blog, i will visit ur blog very often, hope u go for this website to increase visitor.Happy Blogging!! !